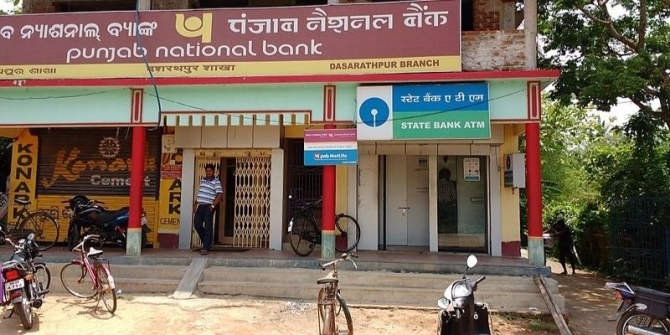 The Punjab National Bank scam, India’s largest banking fraud, has shed light on the necessity for an overhaul of regulatory and corporate governance practices in Indian public sector banks. Param Pandya gives an overview of the history of regulation and governance of PSBs and proposes some solutions in the light of the increasing number of scams. Banking frauds in India have re-emphasised the pitfalls of the regulatory arbitrage in case of Public Sector Banks (PSBs). An IiAS study reveals that in FY17, the Indian banking sector reported 12,553 frauds aggregating to INR 181.7 billion, of which PSBs reported frauds worth INR 162.3 billion, a whopping 89 per cent of the total value. Further, RTI data states that 21 PSBs lost INR 25,775 crores in bank frauds in FY18. However, the fraud that hit Punjab National Bank (PNB), one of the largest Indian banks, stole the thunder. PNB on February 14, 2018, made a disclosure to stock exchanges that a fraud to the tune of $1.8 billion had been detected. Subsequently, the share price of PNB nosedived more than 10 per cent in a day. The fraud, orchestrated by certain PNB officials who had fraudulently issued Letters of Undertaking (LOUs) to Gitanjali Gems and Firestar, two companies which are controlled by Nirav Modi, sent tremors through the Indian markets. The LOU, a common instrument in international trade, is used to obtain finance from overseas banks to meet payment obligations. The issuing bank, in this case, PNB, is required to make payment to an accepting overseas bank that holds the LOU. All procedural checks put in before an LOU may be issued were violated by PNB when LOUs were issued between 2008-2014 to Gitanjali Gems and Firestar. An IIM Bangalore Paper (2016) finds a co-relation between rising level of non-performing assets (NPA) and frauds in PSBs. Frauds may accelerate the NPA crisis leading to a perilous effect on the Indian economy and of the world at large. The present depiction has raised two fundamental issues — first, the inadequacy of corporate governance framework for PSBs in India and second, the lack of adequate regulatory oversight over PSBs by India’s central bank, the Reserve Bank of India (RBI). PSBs are subject to directions of the Ministry of Finance, Government of India (GOI). This dichotomy in the regulation of PSBs is discriminatory. RBI should be the sole regulator for PSBs and private banks. Increase independence of PSB’s board of directors and level playing field for private banks & PSBs. Establish Banking Investment Company (BIC) – a holding company for shares of PSBs. Until the BIC is formed, establish Bank Board Bureau (BBB) to streamline the process for appointment of directors of PSBs. At a later stage, BBB’s role must be transferred to the BIC. The proposal for setting up BBB was accepted by the GOI and BBB started functioning on April 1, 2016. Need for an ownership-neutral regulatory environment without requiring the GOI to completely divest its holding in PSBs. Companies Act, 2013 (CA Act) to have an overriding effect over special statutes which established PSBs. Provisions of the Banking Regulations Act, 1949 would prevail in case of conflict. The RBI’s legal powers to supervise and regulate PSBs are also constrained. RBI cannot remove PSB directors or management, who are appointed by GOI. RBI cannot force a merger or trigger the liquidation of a PSB. RBI has limited legal authority to hold PSB Boards accountable regarding strategic direction, risk profiles, assessment of management, and compensation. These issues were also raised by the RBI Governor Urjit Patel in his maiden speech in relation to the role of the RBI in the aftermath of the PNB fraud. Legal reforms are highly desirable to empower the RBI to fully exercise the same responsibilities for PSBs as apply to private banks, and to ensure a level playing field in supervisory enforcement. Prior to the PNB fraud disclosure, the RBI in January 2018 had comprehensively enhanced the requirements to provide for disclosure of non-fund based contingent liabilities like a LOUs, guarantee etc. As a quick response to the PNB fraud, RBI discontinued the issuance of LOUs for trade credits for imports into India with immediate effect. Further, RBI has also directed banks to integrate SWFIT and core banking systems. It has also constituted a committee headed by YH Malegam, a former member of the Central Board of Directors of RBI, to look into the reasons for high divergence observed in asset classification, various incidents of fraud and necessary interventions (also in terms of information technology) to prevent such frauds. Fortunately, frauds have often lead to major changes in the regulatory and governance landscape in India. The Satyam scam (2009) where the Chairman of Satyam Computer Service Limited confessed to having falsified the financial statements, including by showing fictitious cash assets of over $ 1 billion. This scam led to a complete overhaul of the corporate law and governance in India. For the PNB fraud to turn out to be the Satyam for PSBs, in retrospect, will require a transformation in the Indian banking sector. On the governance front, first, it is important that an ownership-neutral banking law is in force to ensure PSBs and private banks are on the same footing. Second, gradually, GOI should transition its holdings in the PSBs into BIC and let independent boards govern. A study reveals that despite paying high audit fees, the quantum of fraud in PSBs tends to be on the higher side. On the regulatory front, this necessitates a review of the internal financial controls and role of auditors of PSBs. On April 20, 2018, the Financial Stability Board released a tool-kit consisting of 19 tools for firms and regulators to fight with misconduct risk. These tools reflect the growing consensus that more aggressive measures are required to prevent or mitigate misconduct by financial institutions in the ex-ante sense. These tools aim to address three key areas of misconduct risk: (1) The role of (poor) culture in driving misconduct within a financial institution; (2) Lack of individual responsibility and accountability; and (3) The ‘rolling bad apples’ phenomenon through which individuals who engage in misconduct move between financial institutions without their misconduct being disclosed to their new employer. The individual responsibility and accountability of senior managers form a cornerstone of misconduct risk prevention/mitigation framework. Various senior manager accountability regimes in UK, Hong Kong, and Australia adopt the ‘prescriptive’ approach which requires financial institutions to clearly lay out their organisational structures, designate responsible officers, set out standards for conduct and hold such officers accountable. In light of the FSB tool-kit, the Monetary Authority of Singapore, on April 26, 2018, released a consultation paper proposing a Guidelines on Individual Accountability and Conduct. The RBI had issued the Master Direction on Frauds, however, in light of current scenario, the same be revisited or overhauled, after careful consideration of the global regimes, to make misconduct risk prevention/mitigation framework more robust. Param Pandya is a Research Fellow at the Corporate Law and Financial Regulation at Vidhi Centre for Legal Policy. The author is thankful to Dhvani Mehta & Shehnaz Ahmed for their valuable comments. Views are personal.